Shelton Benjamin started his wrestling career well before he made his debut in the WWE. of them together had quite a few tag title reigns. and would regularly put on show-stealing performances. Benjamin went through a losing streak which saw his ‘mother’ appear at his ringside. Intercontinental Title change hands a number of times. later, after losing the Championship and slowly fading to the background. injury prevented Benjamin from returning. Shelton Benjamin has wrestled as a solo heel, but rarely appears on WWE television. 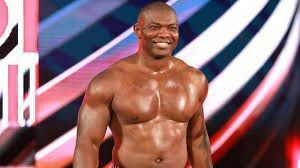 WWE News: Shelton Benjamin to face WWE legend for the first time after 14 years at WrestleMania 35?